Astrobiology is an interdisciplinary field that asks profound scientific questions. How did life originate on the Earth? How has life persisted on the Earth for over three billion years? Is there life elsewhere in the Universe? What is the future of life on Earth? 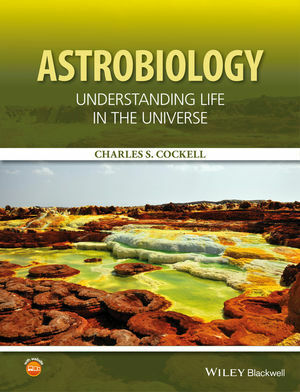 Astrobiology: Understanding Life in the Universe is an introductory text which explores the structure of living things, the formation of the elements for life in the Universe, the biological and geological history of the Earth and the habitability of other planets in our own Solar System and beyond. The book is designed to convey some of the major conceptual foundations in astrobiology that cut across a diversity of traditional fields including chemistry, biology, geosciences, physics and astronomy. It can be used to complement existing courses in these fields or as a stand-alone text for astrobiology courses. Readership: Undergraduates studying for degrees in earth or life sciences, physics, astronomy and related disciplines, as well as anyone with an interest in grasping some of the major concepts and ideas in astrobiology. Charles Cockell is Professor of Astrobiology at the University of Edinburgh. His research interests are focused on the study of life in extreme environments and understanding the habitability of planets. After a doctorate at the University of Oxford he worked at the NASA Ames Research Centre, the British Antarctic Survey and The Open University. He has published widely in astrobiology and carried out fieldwork in locations from the Arctic to the Antarctic. "Cockell’s Astrobiology is a high-level but entirely approachable textbook that will likely be used in many universities. "A hugely useful resource for new students of astrobiology, regardless of your background or ‘home’ discipline."